Gear up to beautify your home with these curtains from Tanishka Fabs and make your dwelling a paradise by choosing blue colours. Want to give a different look to your beautiful abode? Well, these curtains come in eyelet types and also in DOOR - 7 FEET sizes. Do varied prints excite you? Well, don’t miss the chance to lay your hands on these lovely prints. 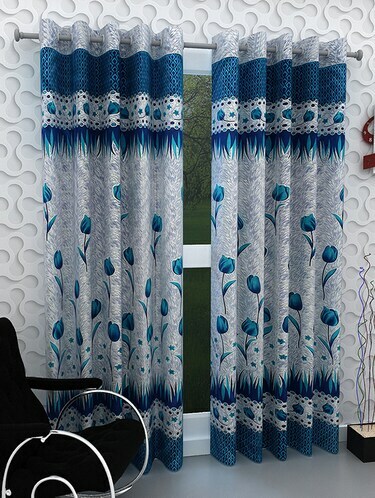 Don’t bother about the material of the curtains as LimeRoad brings to you flowy curtains made of polyester material. Get this amazing collection priced at ₹668 and gain 83% discount.